Dryers | Precision Equipment | Products and Services | NIKKISO CO., LTD.
We offer high-quality environment-friendly dryers worldwide. 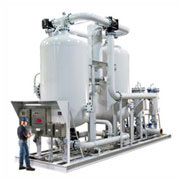 Dryers are designed to eliminate water from air compressed by a compressor and feed dry air into the plant. Since 1991, we have supplied high-quality dryers to customers in Japan and overseas as a sole agent in Japan of PPC air dryers of SPX FLOW in the U.S., thereby contributing to the development of a number of industries. 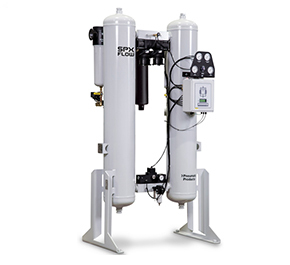 This system is a suction dryer that dehumidifies air compressed by a compressor with the use of adsorbent. The system performs dehumidification by lowering the outlet dew point to -40°C and -73°C (under pressure) and eliminates particulates with a filter, supplying clean dry air. Unitization (packaging) is also possible by combining the dryer with filters. 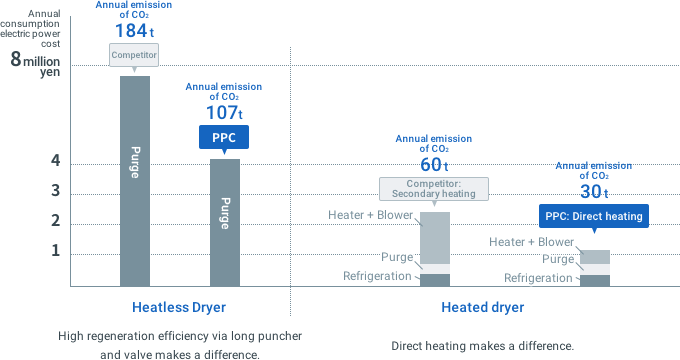 PPC air dryers are designed to minimize energy consumption, thereby contributing to the reduction of clean and dry air manufacturing energy cost and CO2 emissions. Compare our products to other companies. Differences occur in the running cost.